When you eat like a local in the Lake Como area, you'll be ordering delicacies such as wild boar, tripe, and lake shad. Larian cuisine prevails, but some Italian standbys are wonderful here. You may think you already know what to eat in Italy, but here are the top dishes to try in Lake Como. As visitors partake in any dish featuring Lake Como perch, they can enjoy with relatively clear consciences. Nutritionists have found Lake Como perch to be low in fats and rich in noble proteins and omega-3 fatty acids. This is another example of a dish made great in part because of a bounty of fresh local ingredients. It's sometimes served on pasta dough with butternut, sage, parmesan, and a hint of wine. Where to eat Risotto con Filetti di Pesce Persico: Ristorante Sociale, Via Rodari 6, Como, is located in the center of the town, near the streets most popular with shoppers. The building dates back to 1813​ but was restored in 2008. Proprietors say their formula for success is "in the simplicity and the quality of the items." Reservations recommended. Insalata Caprese originated on the Isle of Capri. 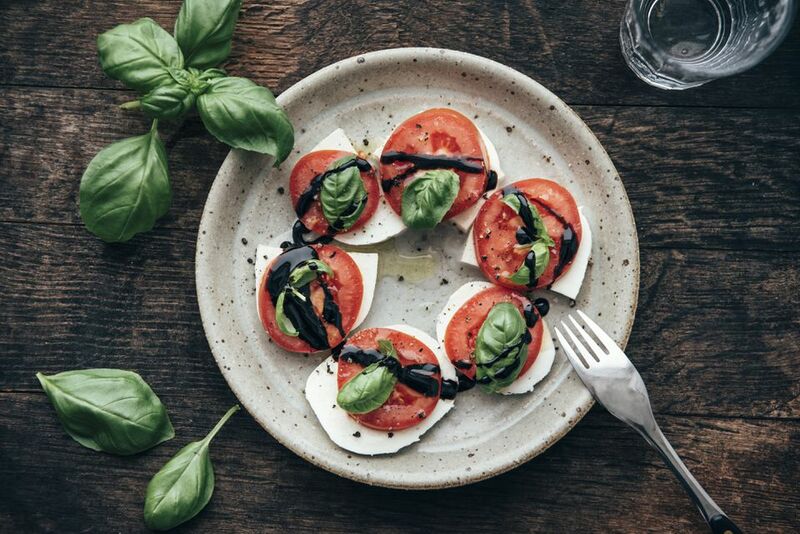 But other regions of Italy have adopted this tomato and mozzarella salad, adding slight variations that are available locally. Because the dish is relatively simple, it is essential that the ingredients are farm fresh and flavorful. Other regions of Italy are better known for growing tomatoes, but the Lake Como area offers a wide variety of farmer's markets between Como and Lecco. Local chefs have access to fresh stock, perhaps the chief reason Insalata Caprese is so popular and relatively easy to spot on local menus. Where to eat Insalata Caprese: Grand Hotel Tremezzo on Via Regina in Tremezzina provides a beautiful terrace vista from which to enjoy this salad — a view once enjoyed by Greta Garbo. Another option with a view is Castello di Vezio on a hillside above Varenna. Hikers who venture into the wooded hills surrounding Lake Como are warned to keep watch for wild boars. Diners also look for boar that is served braised or in a stew. Wild boar is a favorite in autumn, but it appears on menus in other seasons. Often it is marinated in wine and served with fresh local vegetables. Where to eat Brasato di Cinghiale Selvatico in the Lake Como area: Trattoria Baita Belvedere, Località Chevrio 43 in Bellagio serves wild boar in a variety of styles, including as a stew. You'll also enjoy panoramic views of Bellagio and the lake. Polenta is a popular menu choice, mainly as a side dish or entree ingredient. Often it's made from cornmeal, and served a variety of ways. Some servings are creamy and hot, with the consistency you'd find in American grits or porridge. Sometimes, polenta is cooled, sliced like bread and then baked or fried. This depends on the country of origin in which the polenta is being made. Where to eat polenta in the Lake Como area: Trattoria del Bracconieri, via Roma 1 in Brunate is a bistro that prides itself on serving most of the traditional Lake Como favorites. Polenta here is a staple alongside wild boar in red wine, braised Scottish Angus beef with cheese or porcini mushrooms. Busecca or foiolo is a variation on a common dish in Lombardy called trippa, or what Americans would call tripe. Peasants cooked it for generations, and it became a traditional part of Christmas night dinner celebrations in some towns. Foiolo represents the leanest tripe available. Some visitors will not be impressed that this is the featured section of a cow's stomach, but it is a part of the local cuisine. It's an appetizer for the adventurous, and unlike some other choices, the flavor usually is fairly neutral. Where to eat foiolo in the Lake Como area: In Motrasio, the Hotel Posta's La Veranda Restaurant, Via S. Rocco, offers busecca on seasonal menus. Sun-dried lake shad have been served for generations in this region. Shad are members of the sardine family, and they school in abundance in Lake Como. Fishermen salt them for several days, then hang the shad to dry. In Italian, the menu item is missoltino. The process is far more involved than most guests imagine. Great pains are taken to ensure just the right amount of salt is used, and that the aging process unfolds correctly. Missoltino can be served with bread as an appetizer. Where to eat missoltino in the Lake Como area: Hotel Metropole Suisse, Piazza Cavour 19 in Como offers missoltino on its spring/summer menu. Order fragole con gelato and receive sliced strawberries atop a serving of fine Italian ice cream. If looking for a fancier dessert, some might find this selection dull. Attraction increases when one considers that, at certain times of the year, strawberries are fresh. Italy is, in fact, the world's fourth-largest exporter of strawberries. Where to eat Fragole con Gelato in the Lake Como area: Baba Yaga Steakhouse & Pizza, Via Eugenio Vitali 8 in Bellagio, sits in the historic center of the town. The atmosphere is casual enough to be welcoming for a variety of visitors.